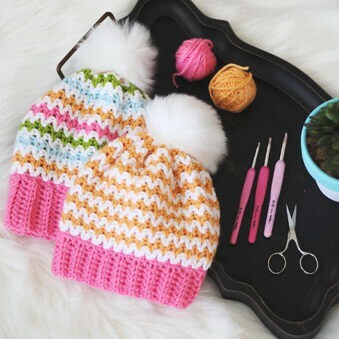 Whether you’re still dealing with cold temperatures or it’s warmed up where you’re living, I’m sure you’re ready for some fun & free crochet patterns for spring. 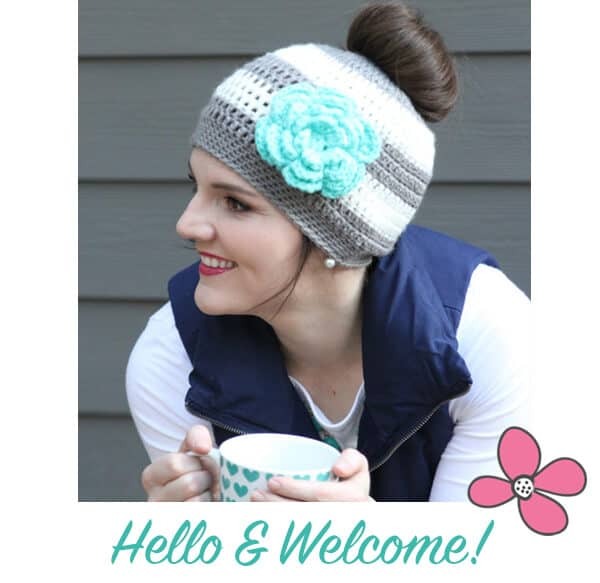 These free patterns are sure to brighten your home and your day. I love the fun colors, great ideas, and beautiful flowers. 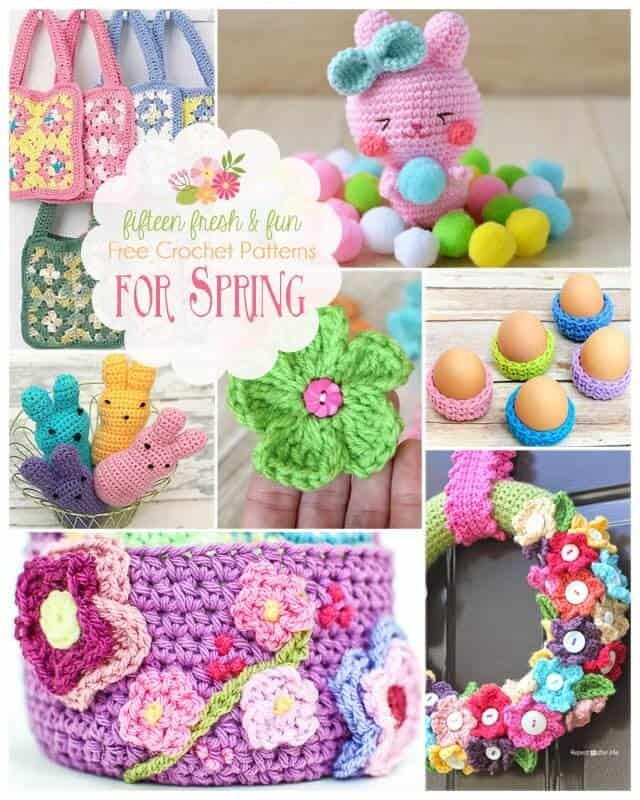 cIf you’d like to see more free spring crochet patterns, you can find last year’s collection here. Granny Square Purse from Fave Crafts. Make eight granny squares from your favorite spring colors to make this adorable pouch for the girls in your life this spring. 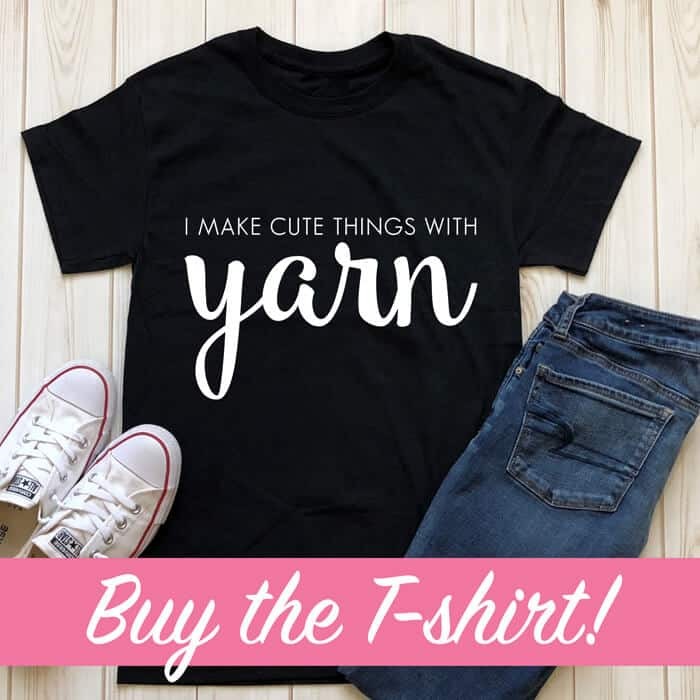 It would be perfect for a little girl’s Easter outfit! Easter Bunny Amigurumi from Craft Passion. This little bunny would look adorable nestled into an Easter basket or cuddled up to your best friend’s spring baby. Easter Peeps by Angie Cruise. 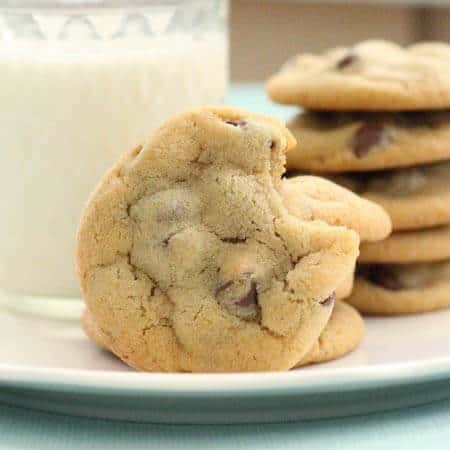 If there’s a Peep lover in your house, this little creation is sure to put a smile on her face. 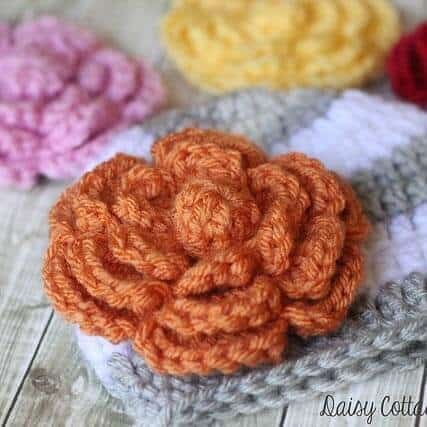 Easy Daisy Pattern from Daisy Cottage Designs. This little flower takes under 5 minutes to make. Whip some up for all your spring decorating needs! Easter Egg Cozy from Petals to Picots. Pair these cozies with a fresh egg and you’ve got an adorable place setting for your next spring party! Spring Easter Basket from Petals to Picots. 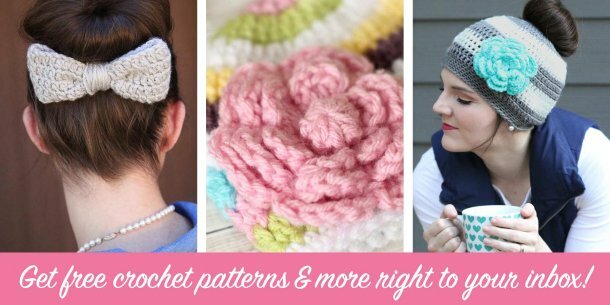 Petals to Picots really knocked it out of the park when it came to spring crochet patterns! They’re so bright and fun, I could look at them all day long. Crocheted Spring Wreath from Repeat Crafter Me. This bright, fun wreath is just what your front door needs as the cold is heading out of town! 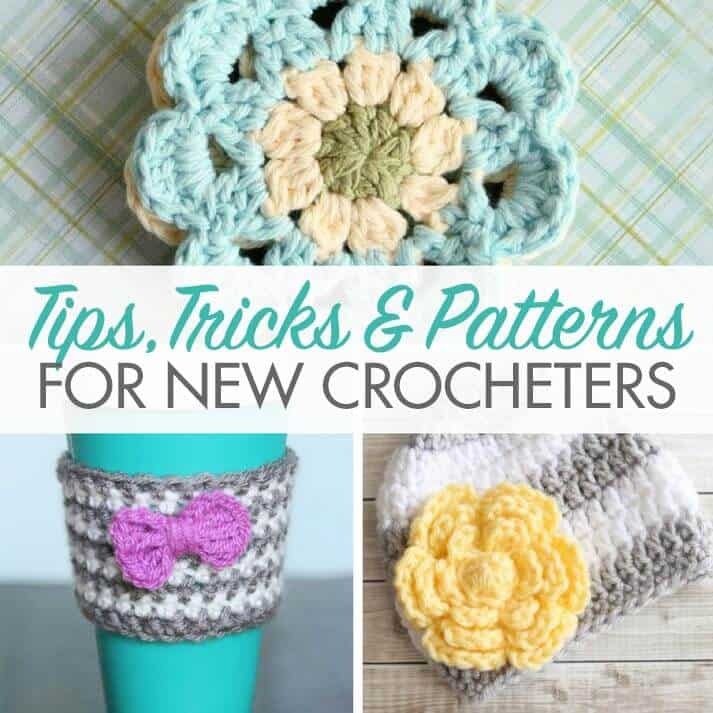 If this hasn’t given you your spring fix for the day, check out the rest of these beautiful spring crochet patterns!